Design is too important to be left to designers. It’s that time of our existence when we need a paradigm shift. In an increasingly competitive market, where users and consumers have become empowered, the traditional approach to innovation is no longer sufficient. Now it’s all about the customer’s lifestyle and her experience. This has driven companies to focus on design, changing the way they think about their products. As products become more complex, consumers are demanding more and more simplicity in every aspect of their experience with products and services. Steve Jobs said “people don’t know what they want until you show it to them.” We are saying, maybe they do. They know best what they need but don’t know the best means to achieve it. And that’s where we come in. The ability to fish out needs and transform them into experiences is the emerging paradigm; Design Thinking is an ideal framework to use because it focuses on developing deep empathy for customers and creating solutions that will match their needs—as opposed to just dreaming up and delivering technology for technology’s sake. Interested in hosting us in your organisation for a session? Shout out to us right now! The Design Thinking construct focuses on desirability, viability and feasibility; and can help reinvent, innovate and improvise constantly to come out with the best possible solution, that are human centric. Design Thinking can be ‘defined’ from several perspectives. Here are a few: Design Thinking is a tool kit for innovation and focuses on reinvention of different creative solutions for problem solving. It doesn’t focus on the end-product, rather it focuses on the roadmap to success, using different combinations. With a strong focus on the end user, Design Thinking offers a structured framework for understanding and pursuing innovation in ways that contribute to organic growth and add real value to your customers and in a larger sense, to your own business. 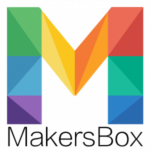 It is an approach (a set of tools, mind-set & methodology) to solving problems that focuses on the end users by empathizing with them. The goal is to develop useful products and solutions that fit the needs of the user, not the other way round. Explore some of the tools and techniques on Design Thinking at the Practitioner’s Desk. Ideafarms’ Introduction and Sensitisation workshop helps you understand the methodology and and introduces you to a few tools of Design Thinking. The intensive Practitioner’s Workshop gives you hands-on experience in applying the tools and techniques of Design Thinking to solve real problems Download the Brochure. It can be used most effectively by an entrepreneurial mind who wants to constantly reinvent and innovate his/her line of business to design and/or redesign the best possible solution. 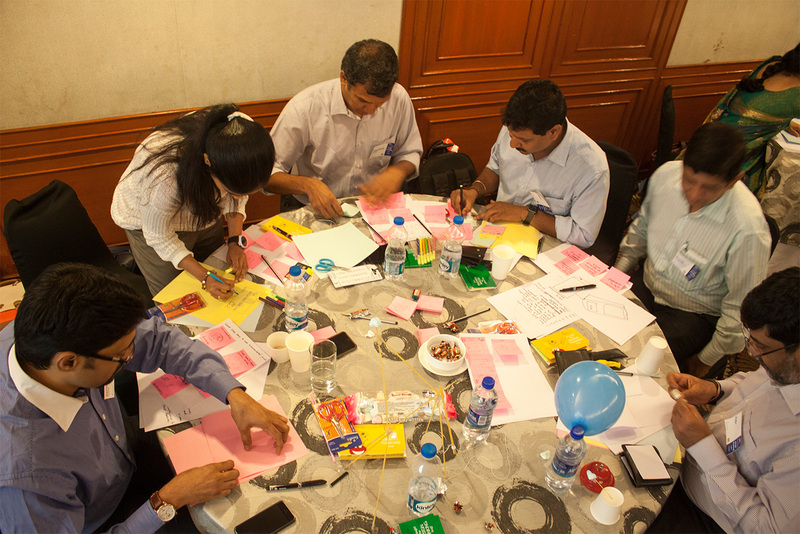 Is Design Thinking specific to services or products industry? 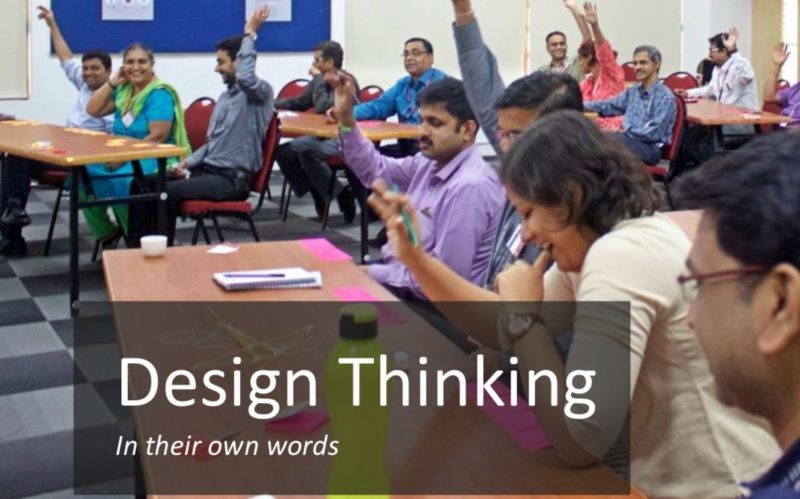 Design Thinking can be used in all spheres of life, mainly in services and manufacturing. It could result in new products and services for customers or improved processes and productivity gains for internal operations. It can be used in our daily activities to make them more efficient. Organizational programs can also inculcate Design Thinking to transform HR, finance, marketing, or operations team—turning them into lean and agile profit centres. Is it a concept/practice or something tangible? Simply put, Design Thinking is a way of working. Does it focus on customer centricity or is it technology driven? Design Thinking is highly customer centric. We first understand the need of the user and then customize or improvise any process according to his/her needs. Whom do you apply it on? Design Thinking can be used in any process in any sector depending on the feasibility of its use and the business impact it has. For a student, we try and analyse how useful will it be to him, from his line of education after having a one-to-one consultation with him. Where can I learn about Design Thinking? To help you get started, we have curated guides to a few tools and techniques of Design Thinking at the Practitioner’s Desk. Can I get certified in Design Thinking? Are there different levels of certification? Introduction & Sensitisation workshop for senior leadership to orient them towards design thinking and its benefits to business. Learn more. Ambassador workshop for business sponsors, to become real ambassadors and champions for design thinking in their organization. For more information, please reach out to us at its.magic@ideafarms.com . Practitioner’s Workshop to introduce Design Thinking & teach its application in a business context for the actual doers on the ground. Download the Brochure . The online modules as well as special doubt-clearing sessions are in the pipeline and will be available soon. Watch this space. 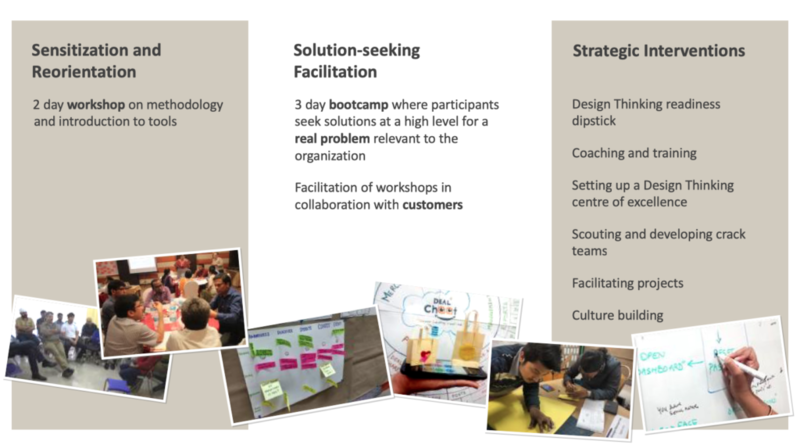 For practical guidance, participants of workshops will have access to Design Thinking Mentors. We are currently in the process of tying up with different companies and planning the next steps.